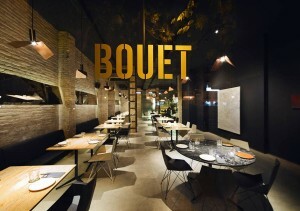 Bouet is a new Restaurant that has been created entirely by Ramon Esteve’s studio, it claims gastronomy as an hedonistic and sensorial experience. The mix of new and existing materials, combined in a cool and befitting way, achieves that relaxing but classy effect of the ancient cities that now are really trendy. The facets that we find in the mirrors, the lights and the furniture – chairs, tables and barstools ” Faz collection”-produce images, reflections and give space an exclusive and elegant design. The rustic materials coexist with other more refined, like copper and marble, contributing to an apparent industrial character to the atmosphere. Feelings and ideas are not only transmitted by their cuisine, but also by their premises and manners. A place were sophistication and casualness come together naturally with only one aim: the idea of gastronomy as a culture and a way of life. 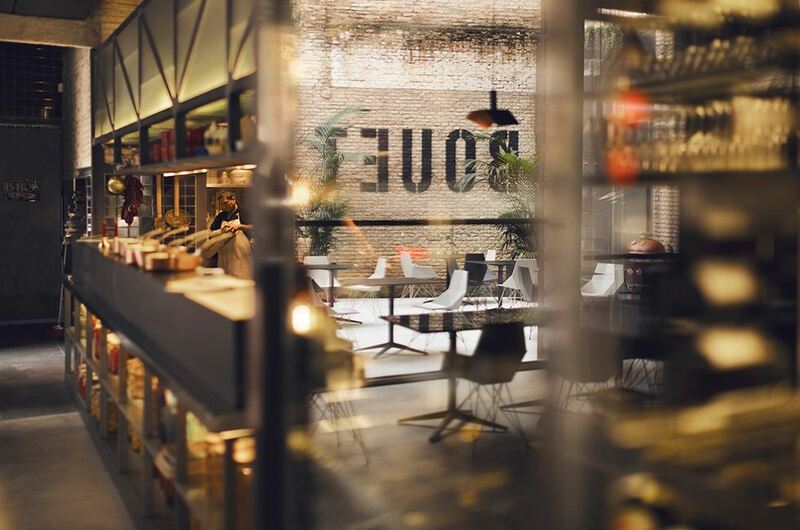 Bouet brings together the cuisine and the diner by means of a touching and surprising language, along a sequence of rooms that slowly reveal the magic. The entrance bar and the stools of the VONDOM Faz collection; welcome guests and accompanies them to the main room. The light coming through the large windows focus our gaze towards the courtyard, which is visually connected to the interior of the restaurant. The kitchen is open to the public, so all the tricks and secrets are uncoved, where the cook unveils his crafts and shares the cooking experience with the diners. 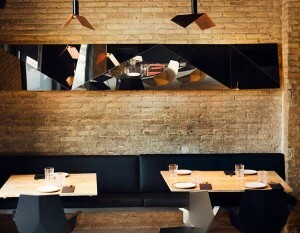 “As big passionates and lovers of good design, architecture and gastronomy, this exceptional space acts as a base where the quality of experience multiplies with good music, art on display, light’s sensuality, The serenity and nobility of the materials.” Tono Pastor y César Lopo, Bouet Restaurant.